Heavy Metal Tour Coming To Moraine Park! 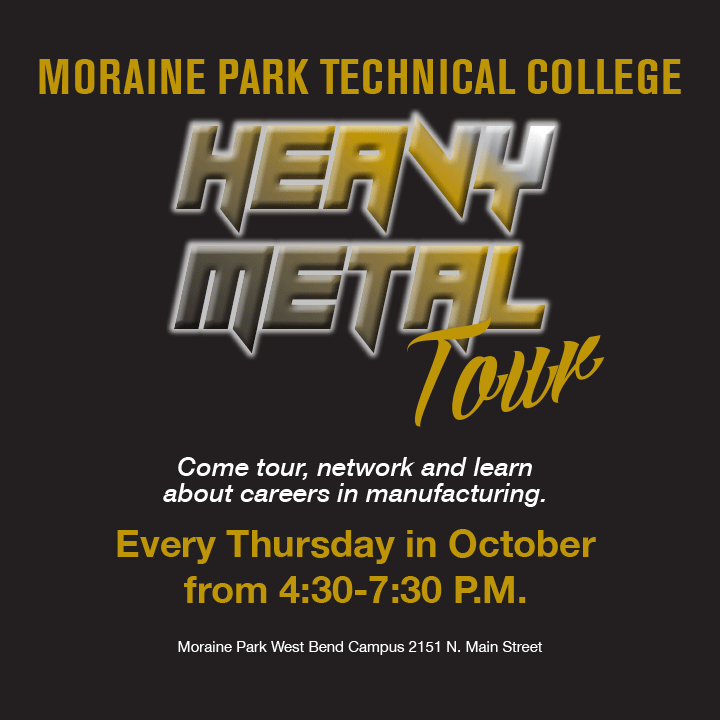 Moraine Park Technical College’s West Bend campus will host a Heavy Metal Tours event during October’s manufacturing month. This free event offers participants a behind-the-scenes opportunity to tour local manufacturing facilities and learn more about the skilled trades needed to fill current employment gaps. Participants will tour eight local manufacturing facilities, visiting two locations each week. 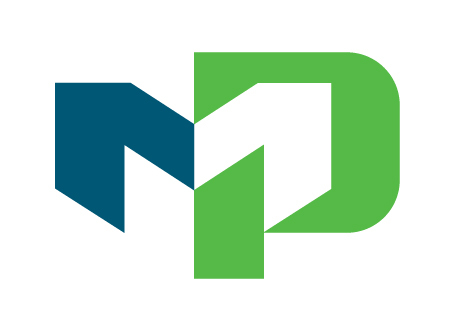 The events will run from 4:30-7:30 p.m.
4:30 p.m. – Participants will meet at MPTC’s West Bend campus, 2151 N Main St.
5:00 p.m.- After a brief introduction, participants will be bussed to the first location. Tours will take place at Weasler and Metalcraft in West Bend on October 4; Maysteel in Allenton and Cole Manufacturing Corp. in West Bend on October 11; Mantz Automation and CDM Tool & Manufacturing in Hartford on October 18; MGS Manufacturing Group in Germantown and Server Products in Richfield on October 24. Participants will meet at the West Bend campus, and after a brief introduction, they will be bussed to the tour locations. A light meal will be served. Space is limited for this unique opportunity and registration is required. Interested individuals are invited to participate in all four weeks, or they may choose their preferred date(s). 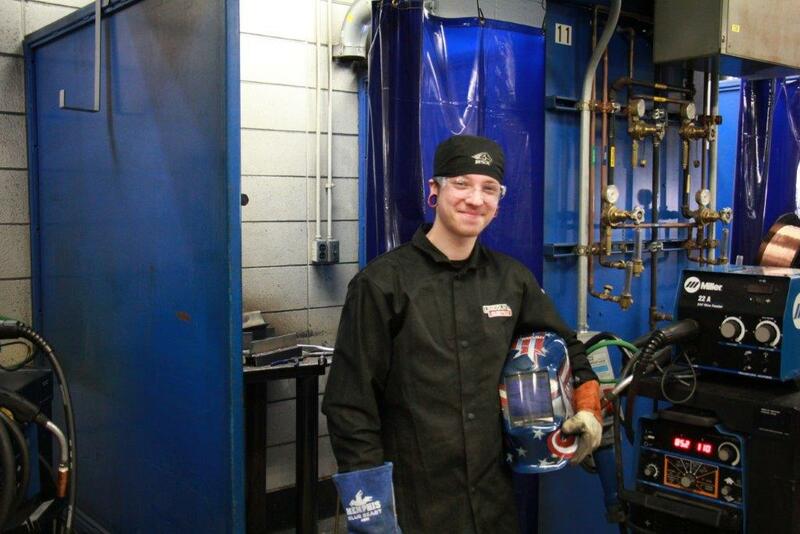 For more information, or to register, visit morainepark.edu/heavymetal or call (262) 306-5321. Nursing Program gets Testing Technology overhaul!